Indiana State University's Earth Day celebration will feature a theatrical flourish when the full day of festivities returns to campus on April 20. 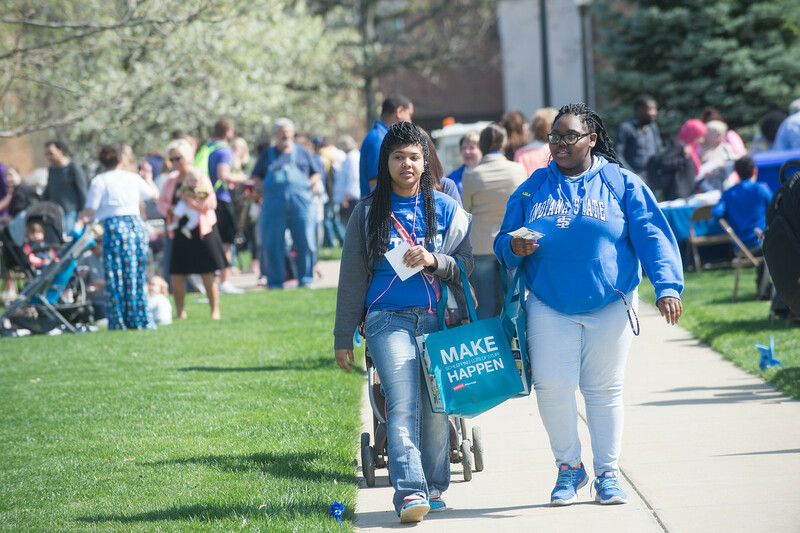 Performances by three local musical acts and a medley by the Indiana State cast of "Company" are among the highlights of the Sustainability Festival, set for 11 a.m.-2 p.m. on the quad. One of the perennially popular events is lunch on the quad, catered by Sodexo and featuring a sustainability awards presentation, more than 30 community vendors and games. It's no coincidence such a big production is being organized by Olivia Underwood of Paris, Ill., a senior theater major at Indiana State. 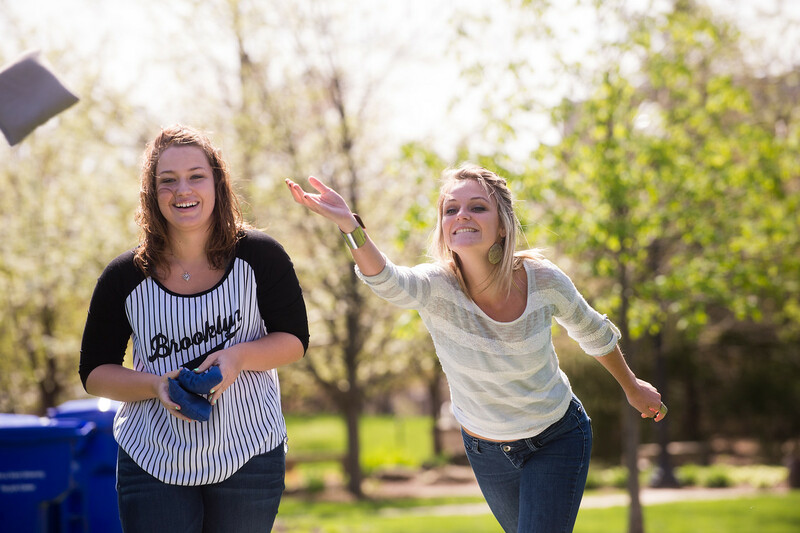 "Being a theater student, I'm pretty project-oriented," Underwood said. "You have to get people interested in your show if you're a theater major, and you have to get people interested in Earth Day if you're a manager for that. There are a lot of team-based, production-based things in theater that are relatable to events coordinating. It's almost like putting on a show." The celebration by the university's Institute for Community Sustainability gets bigger and bigger each year, with more than 3,000 attendees last year. LeafFilter, a micromesh gutter protection system, named Indiana State's Earth Day one of the top 11 in the country - and the only ranked celebration in the state. "There should be some fun outdoor activities as well and possibly some animals coming to visit," Underwood said of the Sustainability Festival. "Advocacy and Activism" will be the topic of a presentation by Amanda Shephard of the Hoosier Environmental Council, 3:30-4:30 p.m. in the Career Center classroom. After enjoying the sunshine, the community is invited back to watch "Star Wars: The Force Awakens" at 9 p.m. on the Condit House lawn. "We're really excited. It's really cool to get a lot of different people coming together to put on one big celebration," Underwood said. Earth Day 2016 sponsors include Staples, Jay's Bikes and Harvest Bakery. All events are free and open to the public. "I think sustainability's important for everyone," Underwood said. "There is no limit to who should and should not be concerned about sustainability. If we start thinking like that, then it will always be someone else's responsibility. Every little effort you can do is a good step." Underwood says her interest in the interdisciplinary field stems from her childhood. "I live on a farm. I've always been outdoors-centric. I'm a hiker and I like camping, so I've always been interested in taking care of what I love, and what I love is being outside, so being sustainable only makes sense," she said. 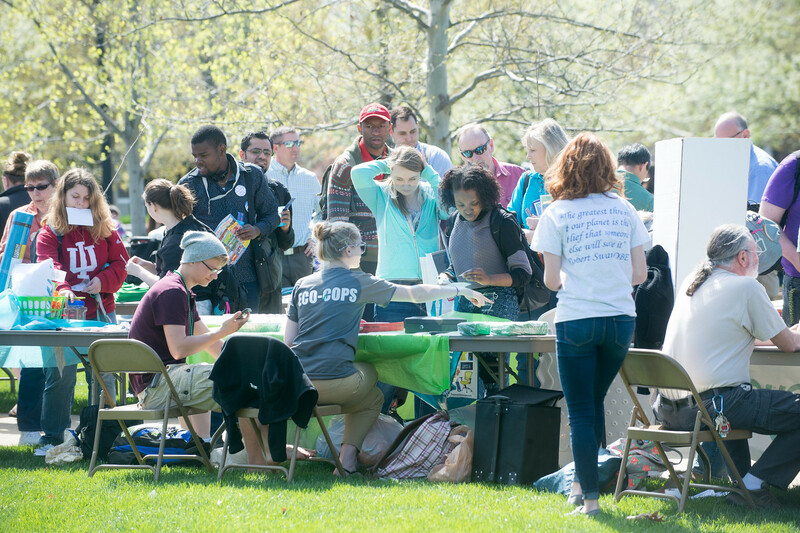 Photos: http://photos.indstate.edu/Events/Events-by-Year/2015/Earth-Day-2015/i-Fg7PdvX/0/XL/04_15_15_earth_day-9637-XL.jpg - Members of community enjoy Earth Day festivities in 2015.
http://photos.indstate.edu/Events/Events-by-Year/2015/Earth-Day-2015/i-G4SFMZ5/0/X2/04_15_15_earth_day-9803-X2.jpg - Students and members of community enjoy Earth Day festivities in 2015.
http://photos.indstate.edu/Events/Events-by-Year/2015/Earth-Day-2015/i-Z9x67sx/0/X2/04_15_15_earth_day-9704-X2.jpg -- Students play corn hole on the quad during Earth Day festivities in 2015.
http://photos.indstate.edu/Events/Events-by-Year/2015/Earth-Day-2015/i-D4fdsWh/0/X2/04_15_15_earth_day-9635-X2.jpg - Students and members of community enjoy Earth Day festivities in 2015. The full day of festivities returns to campus on April 20 and includes lunch on the quad, a sustainability awards presentation, more than 30 vendors and games 11 a.m.-2 p.m.